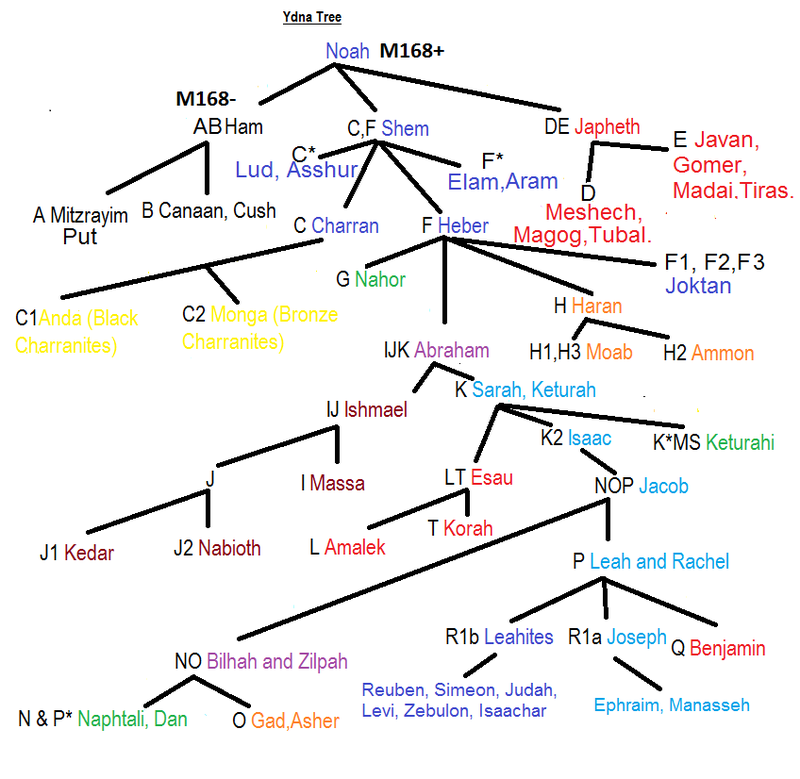 In a recent posting to the Britam website an interesting study of the y-dna of northern Iraqi Jews, Armenians and Chaldean/Assyrian Christians are mentioned. 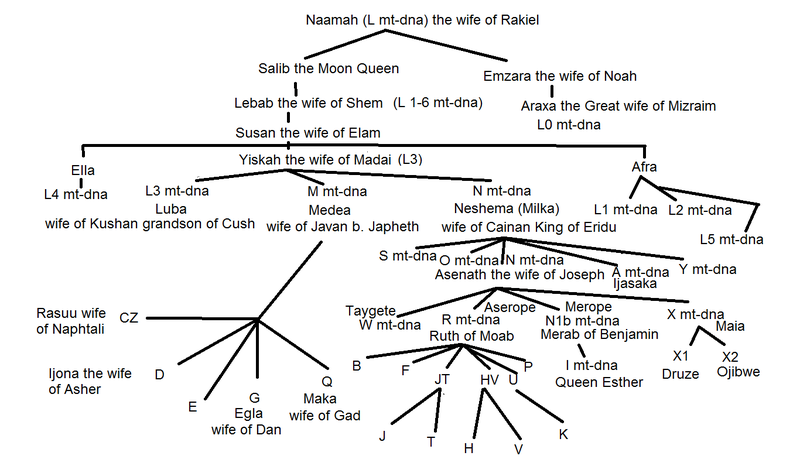 All three groups should have a significant amount of R1b y-dna if the y-dna of the Israelite Patriarchs is R1b. The Armenians have always believed that certain groups of Israelites passed through their lands and left an impact on their population. The Chaldean and Assyrian Christians of Iraq also should have significant R1b as they are believed to descend from the Jewish Christians of Iraq. What are the results? The recent studies reveal that over a quarter of North Iraqi Jews, Armenians and Chaldean/Assyrian Christians have R1b y-dna. Family studies such as those who belong to R1b M222 have demonstrated that mutations take place quicker than the evolutionists would like us to believe. The ridiculously ancient datings seems to dismiss the major movements of people in the last 4,000 years. It is interesting that many are talking about the last ice age as ending 15,000 years ago whereas Velikovsky demonstrated that it ended 3500 years ago. The so-called Neolithic farmers of Europe were post 1500 BC and not 9,000 years ago. Another source quoted on the Britam website states: "...Then another new controversy materialised, as large numbers of the population started to take genetic tests to find their relatives. Those who embarked upon this journey were looking for close matches with others in the databases, which were held by the genetic testing companies. As a result of more and more people publishing their test results through the internet other anomalies have suddenly appeared. It was found that markers have mutated between cousins in the same family, when estimates calculated through population studies predicted that these same markers would not mutate for hundreds or even thousands of years. This evidence indicated a serious flaw in genetic dating methods and seriously discredited any dating related to population statistics that had been made in the last few years..."
The above diagramme of the Ice Age demonstrates how quickly our knowledge is changing in regard to the origins and movements of the y-dna groups. 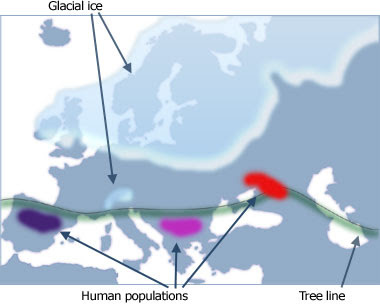 This diagramme shows R1b, I and R1a sitting in Refugia waiting for the Ice Age to end before expanding into Europe. We now know that all three groups originated in the Middle East and spread from there beginning in the Bronze and Iron ages in Europe (after 1500 BC according to Velikovsky). R1b represents the Israelite presence in Europe, I the Assyrian/Samartian and R1a the Edomite. Studies have demonstrated that the dna of the Neolithic period in Europe is different to today's Europeans. Thus the movement of these groups into Europe could have begun at the earliest in the Bronze Age. Another recent study stated that R1b were farmers from the middle East from the regions of Iraq and Syria. David Deryshire writes: "...Most Britons are direct descendants of farmers who left modern day Iraq and Syria... a new study has shown. After studying the DNA of more than 2,000 men, researchers say they have compelling evidence that four out of five white Europeans can trace their roots to the Near East. The discovery is shedding light on one of the most important periods of human history - the time when our ancient ancestors abandoned hunting and began to domesticate animals. They found that 80 per cent of European men shared the same Y chromosone mutation and after analysing how the mutation was distributed across Europe, were able to retrace how Europe was colonised...Britons are descended from farmers who migrated from the Persian Gulf...European farming began...in the Fertile Crescent - a region extending from the eastern Mediterranean coast to the Persian Gulf and which includes modern day Iraq, Syria, Israel and southeast Turkey. The region was the cradle of civilisation and home to the Babylonia, Sumer and Assyrian empires...Some archaeologists have argued that some of these early farmers travelled around the world - settling new lands and bringing farming skills with them...'In total more than 80 per cent of European men have Y chromosomes which descend from incoming farmers. 'It seems odd to think that the majority of men in Ireland have fore fathers from the near East and that British people have forefathers from the near East.' The findings are published in the science journal PLoS Biology. Dr Patricia Balaresque, a co-author of the study, said: 'This means that more than 80 per cent of European Y chromosomes descend from incoming farmers.'.." Yair Davidy writes: "...Until recently the accepted ancestry of most people of West European origin was assumed to be thousands of miles away from the Middle East and ten thousands of years back. It is now becoming accepted that the place of ancestry was the Middle East...and instead of 100s or 10s of thousands of years the difference between Brit-Am and the scientific CONJECTURE is ca. 1000 years. The Scientists now agree that European Neolithic DNA for males is DIFFERENT from that of today. They therefore say that the ancestors of today's population must have arrived in in Europe in the Early Bronze Age i.e. ca. 2000-1500 BCE. We say the time of Exile of the Ten Tribes was in ca. 700 BCE and from there they went to Western Europe in stages. Other peoples from the Middle East (Assyrians, Moabites, Ammonites, Canaanites, Edomites, Aramaeans, etc) may also have contributed to the genetic make-up of Europe and migrated earlier. Whether the ancestors of West Europeans really did arrive in the Early Bronze Age is however uncertain. The scientists do not KNOW for sure or even to any reasonable degree of certainty. No reliable tests are yet available. Tests from Neolithic Times have been published PROVING that Neolithic Peoples were not the ancestors of most Europeans. The next stage downward is the Early Bronze Age which is later BUT tests from this later time have not yet been published! So we do not know. Even if we did know and results were available (and they are not) and if theoretically they were to show that the European Ancestors were then present in the west we could contest the Chronology and Dating since at all events we have claims against the Dating as it is. 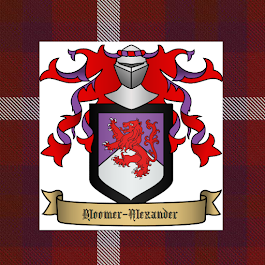 We have not yet however reached that stage and I somehow doubt we will.I have seen indications that some tests indicate that even in MEDIEVAL TIMES OF LESS THAN A THOUSAND YEARS AGO the DNA of Europe was somewhat different. We suspect some of the scientific researchers in effect already agree with us but do not know how to reconcile it with history as it is conventionally understood..."
If we take Velikovsky's chronology by shortening Egyptian history by 500-600 years, then the Bronze Age begins in Europe around 1400 BC and lasts until 900 BC. We thus also shorten Mycenean and Minoan history. Velikovsky dates the Trojan war to the early 7th century [687 AD] and Homer to the mid 7th century. The Dorians arrived in Greece about 700 according to Velikovsky. 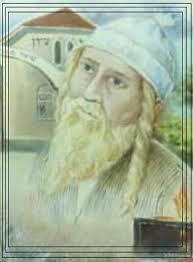 The Dorians came from the Israelite port city of Dor. The Dorians being Israelites fleeing the Assyrian conquest. The Dorians belonged to R1b y-dna. Some argue about whether R1b originated in the Caucasus or Anatolia. We know that both these places were places where the Assyrians exiled the Israelites to in the 8th century. It is in fact Israel that is the place of origin for R1b. It is interesting that a recent study on Ancient Nordic dna (Melchoir et al) also shows that the dna in Southern Scandanavia today arrived in the late Iron Age and not the Neolithic or Bronze Age. Another study shows that Neolithic German y-dna is very different to the modern. Davidski writes: "I woke up this morning to find that Europe's oldest confirmed Y-DNA haplogroups are now G2a3 and F* (and not R1a1a anymore). That's what Haak et al. discovered after testing early Neolithic LBK remains from Germany. However, it appears these German ancients had much more in common genetically with Near Easterners than with Europeans. Indeed, the data in this paper strongly suggests that these LBK communities were the result of long range expeditions deep into Europe by people looking for new farm land. It seems they originated somewhere around modern-day Anatolia, possibly as far as Iran, and didn't leave much of an imprint on our (ie. 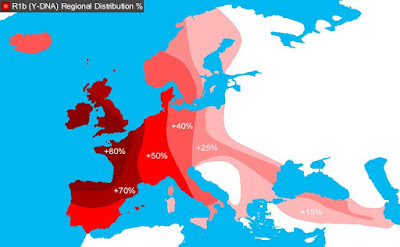 European) genetics, at least as far as mtDNA and Y-DNA are concerned..."
We know from the Bible that after the Great Flood of Noah (about 2700 BC)Europe was settled by the clans of Japheth. Europe was called the Isles of the Goyim. Europe was warm at this time. About 2300 BC major cataclysmic events happened and the techtonic plates shifted and the oceans began to rapidly cool. One writer states: "...The cause of ice ages remains controversial for both the large-scale ice age periods and the smaller ebb and flow of glacial/interglacial periods within an ice age. The general consensus is that it is a combination of several important factors: atmospheric composition (the relative amounts of water vapor, carbon dioxide, methane, sulfur dioxide, and various other gases and particulates in the atmosphere), changes in the Earth's orbit around the Sun known as Milankovitch cycles (and possibly the Sun's orbit around the galaxy), the motion of tectonic plates resulting in changes in the relative location and amount of continental and oceanic crust on the Earth's surface, variations in solar output, the orbital dynamics of the Earth-Moon system, the impact of relatively large meteorites, and eruptions of supervolcanoes..." During the time of Job about 2200 BC the weather started to freeze and many tribes had to flee to the South. "...Interestingly, there seem to be certain references to this Ice Age in the ancient book of Job (37:9–10, 38:22–23, 29–30), who perhaps lived in its waning years. (Job lived in the land of Uz, Uz being a descendant of Shem [Gen. 10:23], so that most conservative Bible scholars agree that Job probably lived at some time between the Tower of Babel and Abraham.) God questioned Job from a whirlwind, ‘Out of whose womb came the ice? And the frost of the heavens, who fathered it? The waters are hidden like stone, and the face of the deep is frozen’ (Job 38:29–30). Such questions presuppose Job knew, either firsthand or by historical/family records, what God was talking about. This is probably a reference to the climatic effects of the Ice Age—effects not now seen in the Middle East...". During the Ice Age in Europe the Middle East and Egypt were already in the Bronze Age. At this time R1b y-dna was to be mainly found in Egypt, Palestine, Lebanon and posssibly in Egypto-Israelite colonies in Crete, Sardinia, Greece, Cyprus, Anatolia and Iberia and the islands. This blog says that Job (around 2200 BC) lived during the Ice Age, but a later blog of yours says that the Ice Age began around Joseph's time (1700 BC). Dear Kurt, My more recent posts are usually what I am thinking now-I have changed some of my ideas along the way. However I do think that the major Ice Age was the one after 1766 BC but that doesn't mean there weren't earlier cold periods and nuclear winters after cataclysmic events.